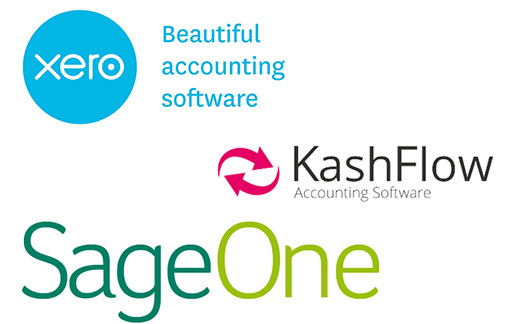 ZigZag integrates into the popular cloud based accounts packages so all your invoices, customers, suppliers and payments set up on ZigZag seamlessly sync with your accounts, so when placing an order or viewing a customer you can instantly see their current account status. If we don't currently support your current accounts package, don't worry, we will probably be able to add that onto our supported packages for you. All your customer details stored in one place, including their credit limits, delivery addresses and even a handy map to view their location. Quickly view their order history and place an order for them. Add notes and also apply special discounts or price lists to your customer. On the wholesale version you can also limit them to certain ranges which they will see if they access ZigZag. When you have orders ready to deliver our delivery module makes it easy, whether you use your own transport or you have your goods collected. 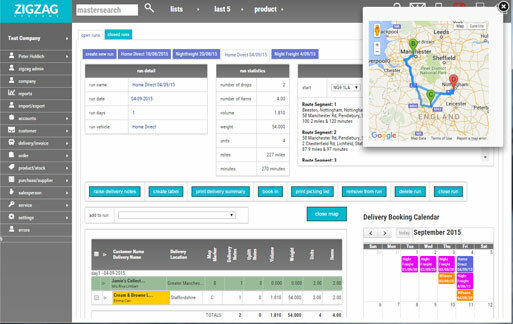 On ZigZag you can group together your orders into a ‘delivery run’ where you can bulk print delivery and picking notes, organise a run order and even see that on our handy map and route planner. Eventually when everything is delivered you can bulk invoice from here as well. This is where you will eventually make your money by placing orders! 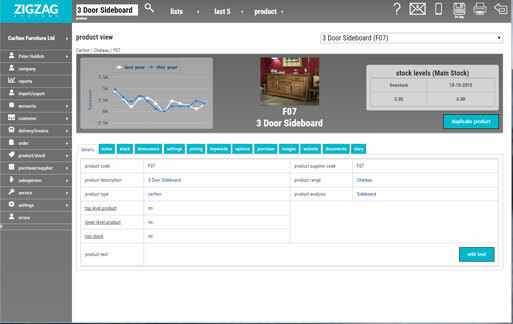 Quick and easy, select a customer, a delivery address and then start adding products to your order using the intuitive search bar, or click and select from product ranges. 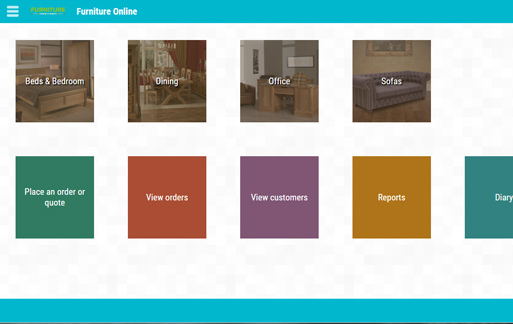 Allocation of stock is simple - if it’s in stock click the button that tells you how many you have, if it isn’t you can add to an existing or create a purchase order in one click. ZigZag can handle direct to customer orders as well. To be able to sell you need to have products! ZigZag neatly keeps your products in the right place by choosing a product section (i.e. Dining Furniture) inside the section you would have all the ranges (i.e. Venezia, Roma, Genoa) and then inside the range you have the product itself (i.e. Dining Table, Dining Chair, Sideboard) within the product you can set up as many options as you want and apply different price categories. ZigZag also allows for manufacturing components or bill of materials. 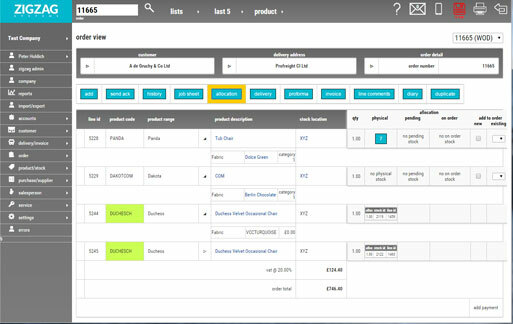 Before you can sell your products you need to buy them, or at least the components to make them, so we have a purchase module that allows you to create a purchase order to your suppliers. Once ordered you can keep a track of the order from confirmation from your supplier to the goods being booked into your warehouse and finally received. Once received, ZigZag does the rest and adds them into your stock and even allocates the stock to your orders. 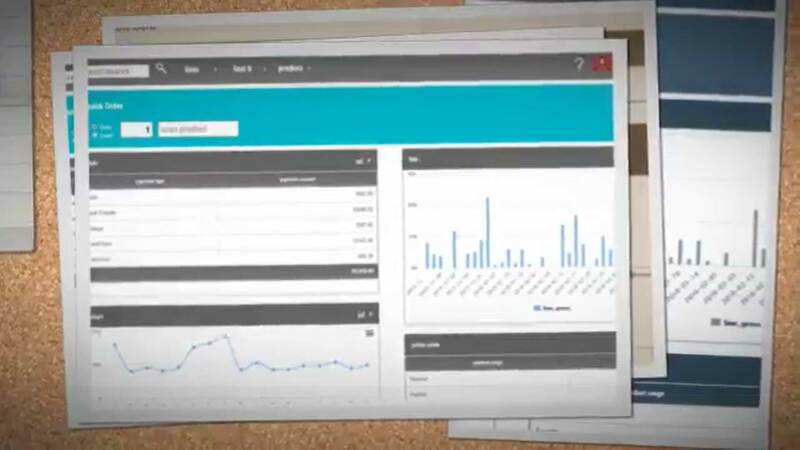 Inside the purchase module you also have your supplier database. ZigZag will make any container or foreign currency purchases a breeze! ZigZag has its own report builder, so when you get your new ZigZag there are no reports on there! Why?? Many systems come loaded with reports that do this and that, however more often than not it isn't the information you need and there are always several reports you have no idea what they are about! 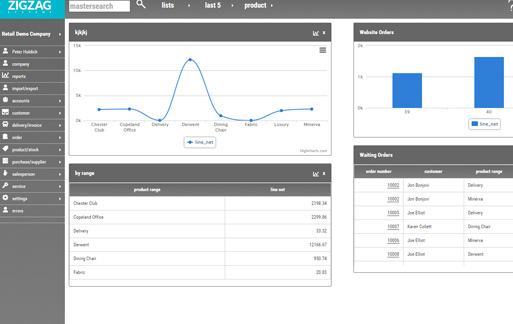 So with ZigZag you can create your own reports from simple order reports to more complex comparison reports. If there is a report you can't configure then don't worry, we are on hand to create any bespoke reports for you. Unfortunately sometimes things go wrong, but don’t worry as ZigZag will hold your hand and make it all better! If you have a disgruntled customer, simply go to their original order and create a service, upload 15px of the problem and send it to the supplier to sort, or even a technician. If you need to replace it, no problem, just click a button and a new one is ordered. 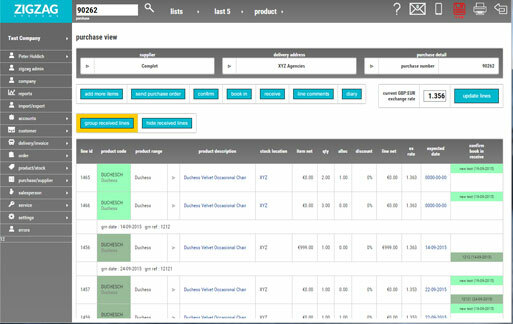 As part of the product module you will find a very comprehensive stock section. From history of selling the product to stock valuations you can do it all here! Add, write off, transfer to different stock locations or return to the manufacturer. Stock works as a link between your purchase orders and orders, making sure you get the products to your customers as quickly as possible. 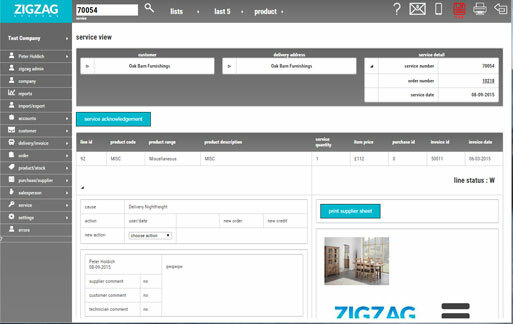 If you need to use ZigZag quickly in your showroom or warehouse, log into the mobile site, where the very easy to use interface can quickly get you to the information you want. You can even have a slide show of 15px for your products, which makes a great presentation tool, and when your customer has chosen the products they want, create an order straight from your iPad. 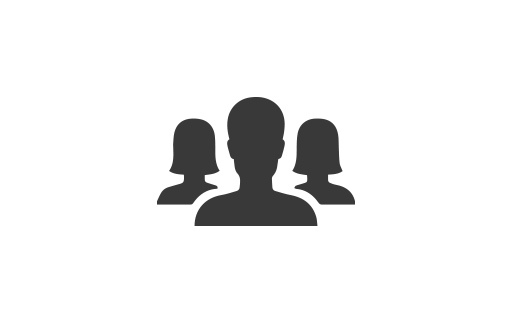 ZigZag allows you to have as many users as you need, and each user can have different levels of login, from full control to read only. 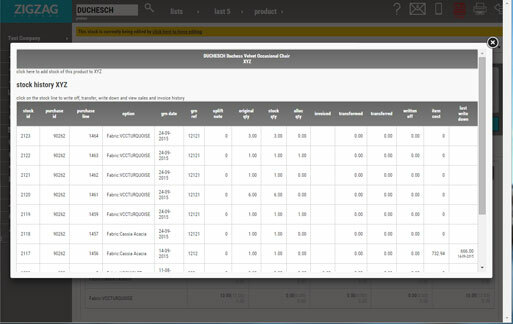 With our Wholesale and Manufacturing version you can even allow your customers access so they can view only products and orders that are relevant to them. They can even place orders! 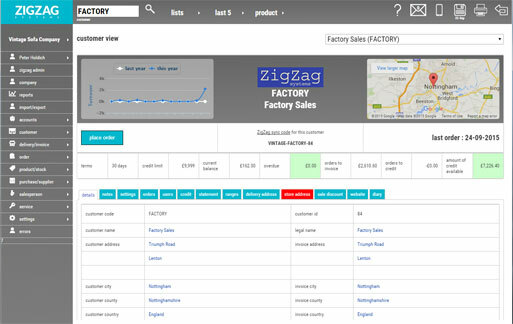 Using our retail version, although your customers cannot access ZigZag, we can, however, provide this information to your front end website designers so they can login and track their orders.